The PCIe SSD revolution is upon us. 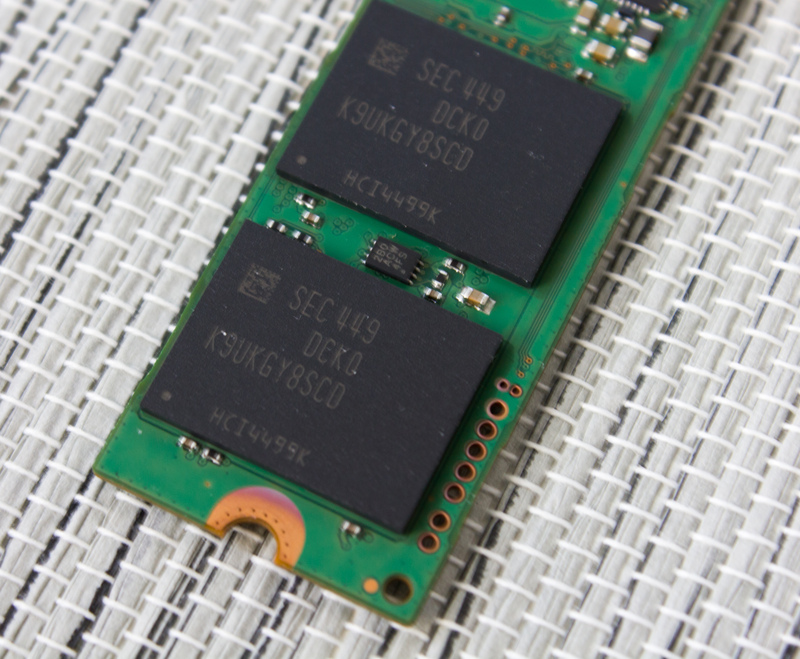 So far nearly every controller vendor has shown off its PCIe SSD controller design and the latest news I've heard is that we'll be seeing a large number of PCIe SSDs from numerous manufacturers in the second half of 2015 (watch out for Computex and Flash Memory Summit). Samsung got a head start in 2013 with the introduction of the XP941 and to-date the company is still the only manufacturer that is shipping a PCIe 2.0 x4 client SSD in volume. There are a couple of Marvell based PCIe 2.0 x2 products on the market from SanDisk and Plextor, but none that can truly challenge the XP941 in performance. Despite being an OEM-only product, the XP941 has been relatively popular among enthusiasts. The performance upgrade over a SATA 6 Gbps drive is significant enough that it has been worth the premium for a user with IO intensive workload. 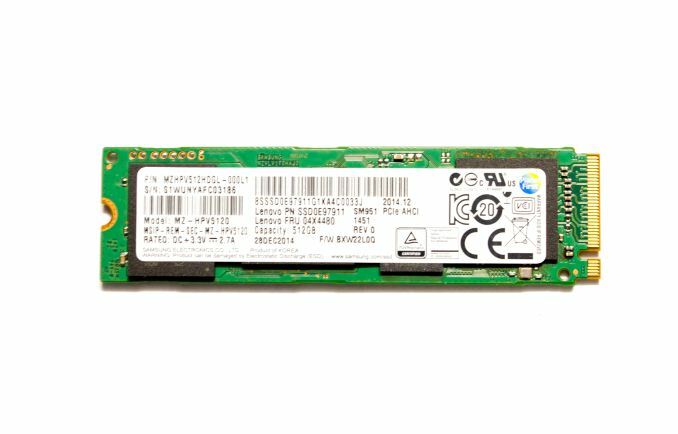 The truth is that SATA 6 Gbps has been saturated for quite some time already, so PCIe and namely the XP941 has been the only way to improve single-drive IO performance affordably (faster PCIe SSD exist, but due to their enterprise focus the prices make them unreachable for the majority). Today we have the successor of the XP941 in the house. 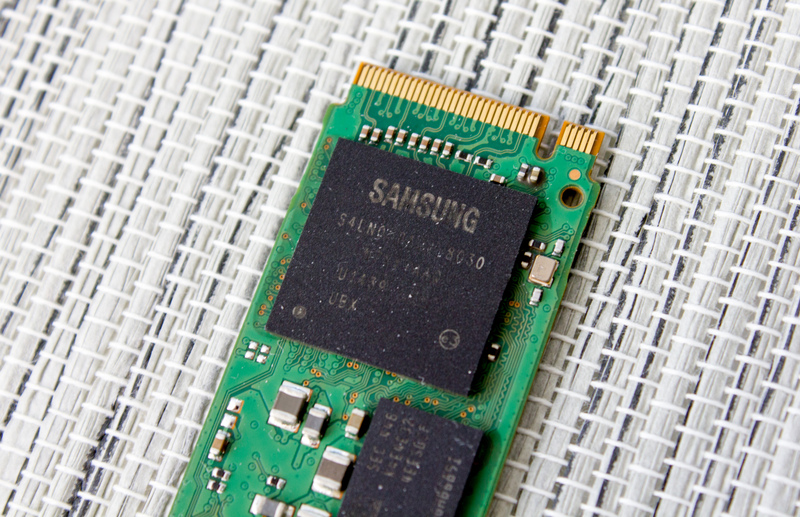 The SM951 made its first appearance at Samsung SSD Global Summit in July 2014 where it was touted to be the first client SSD with NVMe support. Unfortunately, Samsung changed its initial plans and the SM951 as it's known today does not support NVMe, but it still provides an upgrade from PCIe Gen2 to Gen3, which theoretically doubles the available bandwidth. Samsung is tight-lipped about the reasoning behind the decision to dump NVMe support, but from what I understand the current chipsets don't have proper NVMe support by default. It's likely that Samsung's PC OEM partners wanted to stick with known AHCI command set for improved compatibility, so Samsung decided to push the introduction of client NVMe SSD a bit further back. Some motherboard manufacturers have gone through the extra steps to update their BIOSes with NVMe support, but I haven't been able to get a detailed answer of what exactly needs to be changed to enable NVMe on current chipsets. Anyway, the SM951 is not NVMe enabled and will not gain NVMe support later either, so for now there isn't a single client-oriented NVMe SSD. Samsung has, however, stated that the company is working on a client NVMe SSDs, which means we may seen one soon after all. The SM951 is an OEM-only product just like its predecessor. Currently the drive is not available through retail channel yet, but Lenovo uses the drive in its ThinkPad X1 Carbon laptop, which is how we got our early review sample. The drive will be available through RamCity within the next few months and the latest I've heard is that the first batch should be delivered in late May. I was told the pricing will be about 10% higher than what the XP941 currently sells for, which would translate to a bit over a dollar per gigabyte. The pricing will ultimately depend on Samsung's production capacity and demand, so it's too early to quote any exact prices and I will provide an update once the SM951 is available for order and the final pricing is out. Furthermore, since our sample came through Lenovo and carries a Lenovo specific firmware, I will also be reviewing the 'vanilla' version from RamCity to make sure our results reflect the model that is available for purchase. Similar to the XP941, the SM951 comes in the M.2 2280 form factor and is available in capacities of 128GB, 256GB and 512GB. The lack of a 1TB model is another change from the original product plan, but it's entirely possible that a 1TB SKU will follow later. Performance wise Samsung claims up to 2.15GB/s read and 1500MB/s, which is nearly twice the throughput of the XP941. However, it's nowhere near the maximum bandwidth of the PCIe 3.0 x4 bus, though, which should be about 3.2GB/s (PCIe only has ~80% efficiency with overhead after the 128b/132b scheme used by PCIe 3.0). Because the SM951 is an OEM product, the warranty and endurance limitation are specified by the reseller instead of Samsung. We will know more when the drive is available, but I would expect RamCity to offer the same three-year warranty and 72TB endurance as it does for the XP941. In addition to PCIe 3.0, the SM951 adds support for PCIe L1.2 power state. That is essentially a PCIe version of DevSleep (but it's not limited to just storage devices) and it allows for power consumption as low as 10µW per lane. In the case of the SM951 the L1.2 power consumption is 2mW, which that translates to 500µW per lane, so there seems to be room for further improvement, but the important news is that the L1.2 power state brings the slumber power consumption to the same level as DevSleep. The L1.2 also has lower exit latency at 70µs (i.e. how long it takes for the drive to be fully powered on again), whereas the DevSleep requirement is 20ms. Surprisingly, the SM951 doesn't make the transition to 3D V-NAND like the rest of Samsung SSDs we've seen lately. It's still utilizing planar NAND, which I believe is the same 19nm 64Gbit MLC NAND as in the XP941. There have been some reports claiming that the SM951 uses 16nm NAND based on the change in the generation character (i.e. the last character, which was C in the XP941) of the part number, but because the capacity per die is 64Gbit I'm very doubtful that the process node has changed. It wouldn't make sense to build a 64Gbit die at 16nm process because the peripheral circuitry does not scale as well as the memory array does, which would result in very low array efficiency. In other words, a 128Gbit die at 16nm would be substantially more economical than 64Gbit, hence I believe that the NAND in the SM951 is merely a second iteration of 19nm 64Gbit die. Besides, Samsung already has 3D NAND technology and is pushing it very aggressively, so investing on a new planar NAND node wouldn't be too logical either. When the XP941 was released, the number one issue with the drive was the lack of boot support. Because the XP941 was never designed for retail, it didn't have its own legacy drivers that load prior to the motherboard BIOS to enable boot support on any system, and hence the XP941 required a BIOS update from the motherboard manufacturer in order to be used as a boot drive. To date, most Z97 and X99 based motherboards have a BIOS that supports booting from the XP941 (RamCity has an extensive list on the topic), although unfortunately AMD and older Intel chipsets are not supported. I can confirm that the SM951 is also bootable on a supported motherboard. I tested this with an ASUS Z97 Deluxe using the latest 2205 BIOS and the SM951 shows up like any other drive in the boot menu. I suspect that any motherboard that can boot from the XP941 will also work with the SM951, but obviously I can't guarantee that at this point. I also verified that the SM951 is bootable in tower Mac Pros (2012 and earlier).